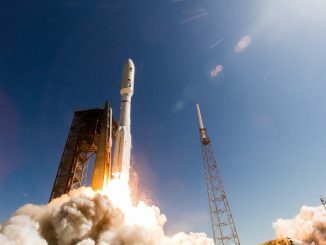 CAPE CANAVERAL — Taking delivery of the Atlas 5 rocket that will boost an advanced weather observatory into space next month, United Launch Alliance and the Air Force are back at work following disruptions from Hurricane Matthew. Shipment of the first stage to Florida’s Space Coast from its factory in Alabama was delayed due to the storm, which passed just a few miles off the Cape on Friday. The rocket will launch the GOES-R spacecraft — the next-generation of weather satellite that will observe conditions over the U.S. from geostationary orbit 22,300 miles above the Earth and help meteorologists make better forecasts. But officials continue to assess schedules for stacking of the rocket at the Vertical Integration Facility and determine when the launch will occur. Before Matthew interrupted activities at the Cape, the launch was supposed to happen on Nov. 4. “United Launch Alliance’s preliminary assessment indicated Hurricane Matthew caused minor to moderate damage to facilities with no damage to flight hardware,” the company said Monday. Some ground equipment at the VIF was damaged, as well as doors on the mobile service gantry at the Delta 4 rocket’s Complex 37 and the roof on the Delta 4’s launch control center. “We are assessing the timelines to recover these,” ULA said. 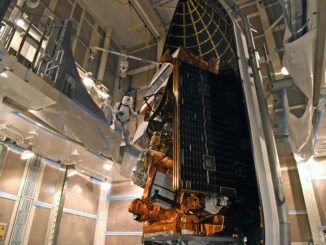 The GOES-R satellite, built by Lockheed Martin for NASA and NOAA, rode out the storm within a cleanroom at the Astrotech processing facility in nearby Titusville. The building was forced to generator power during the hurricane, but the craft was unharmed. Once stacking gets underway, the first stage that arrived at the Cape on Sunday night will be brought to the VIF and erected vertically onto the mobile launch platform. That Launch Vehicle on Stand, or LVOS, milestone will be followed by attachment of four strap-on solid rocket boosters and hoisting the Centaur upper stage atop the first stage. 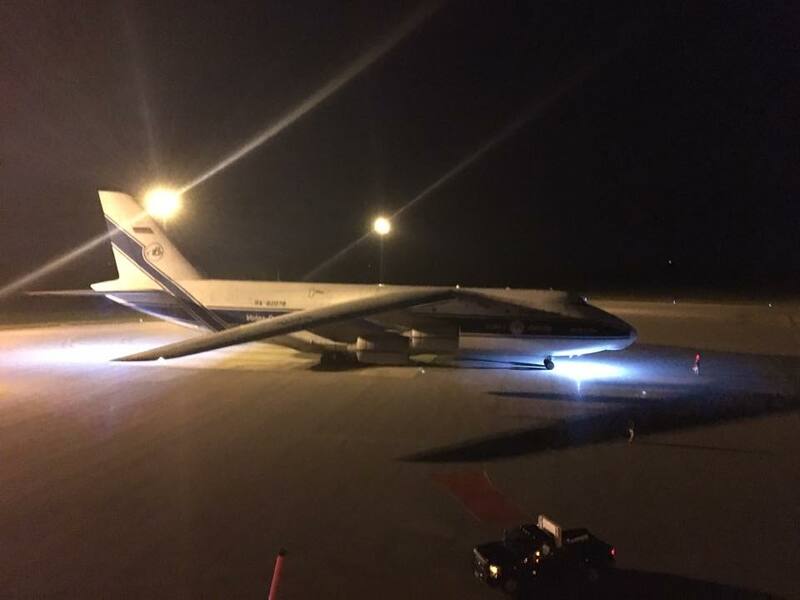 Centaur was delivered to the Cape last month and was stored in a hangar for the storm. 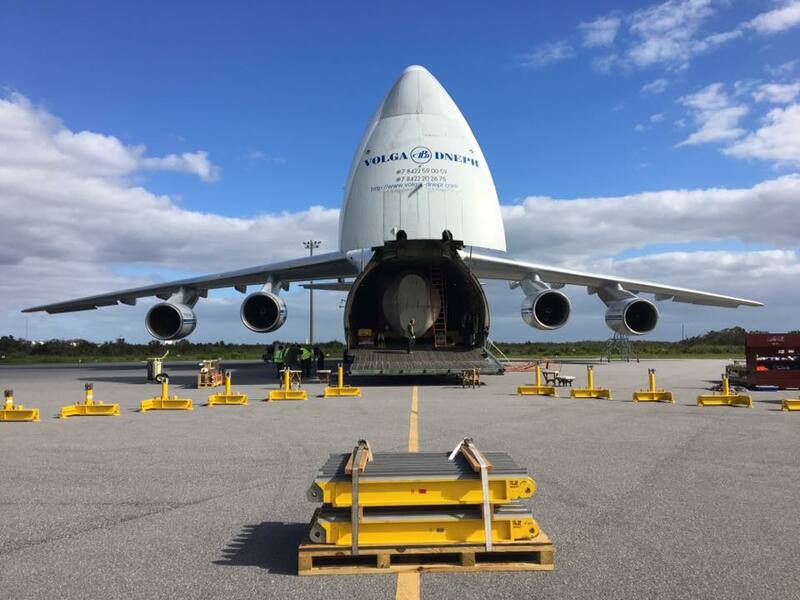 A commercial Antonov transport aircraft was used to bring the Atlas first stage to Florida. That mode of moving rocket stages around the country allows quick deliveries, and the plane is uniquely able to accomodate the first stage’s length. 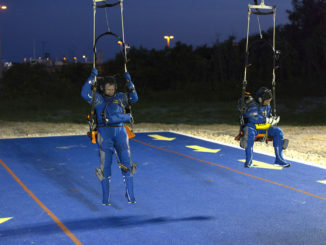 The Cape Canaveral Air Force Station was officially reopened Monday afternoon and the Kennedy Space Center will resume normal operations on Tuesday. 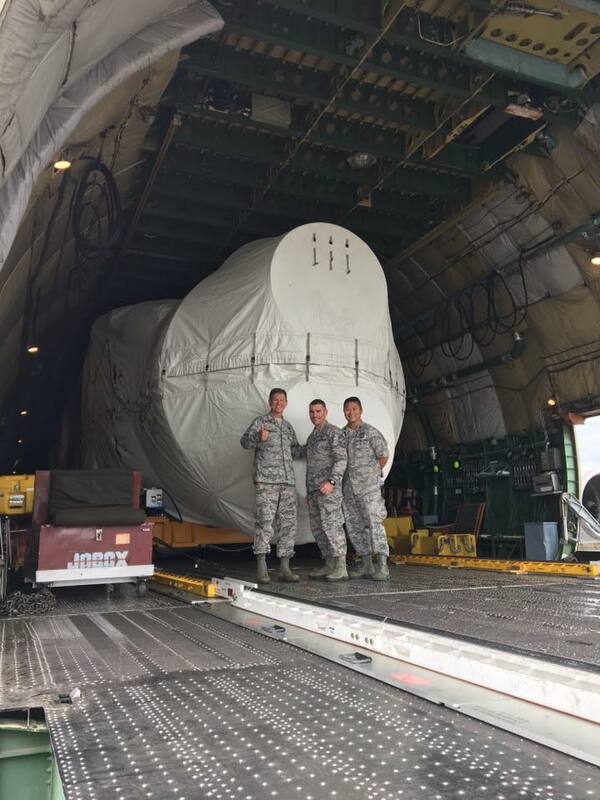 “This morning we offloaded a ULA Atlas 5 booster that arrived last night for the upcoming GOES-R mission,” said Brig. Gen. Wayne Monteith, the 45th Space Wing commander at Cape Canaveral. Hurricane Matthew brushed along Florida’s East Coast on Friday morning, bringing winds of 90 mph, a top gust of 107 mph and heavy rain. The eye wobbled and passed just 25 miles off the Cape, alleviating fears of a direct hit on the launch site by the Category 3 storm.